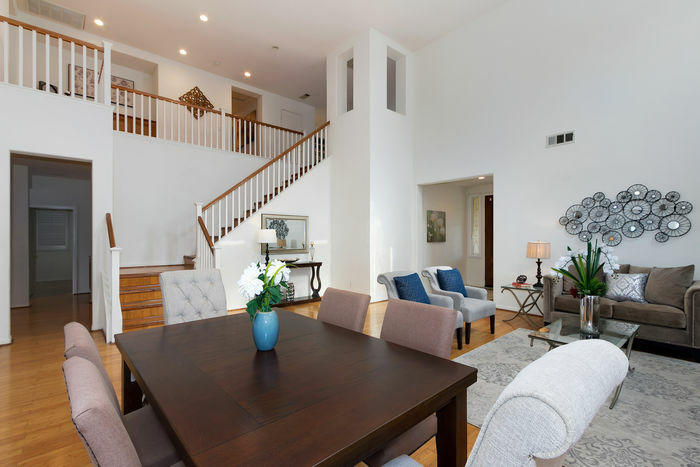 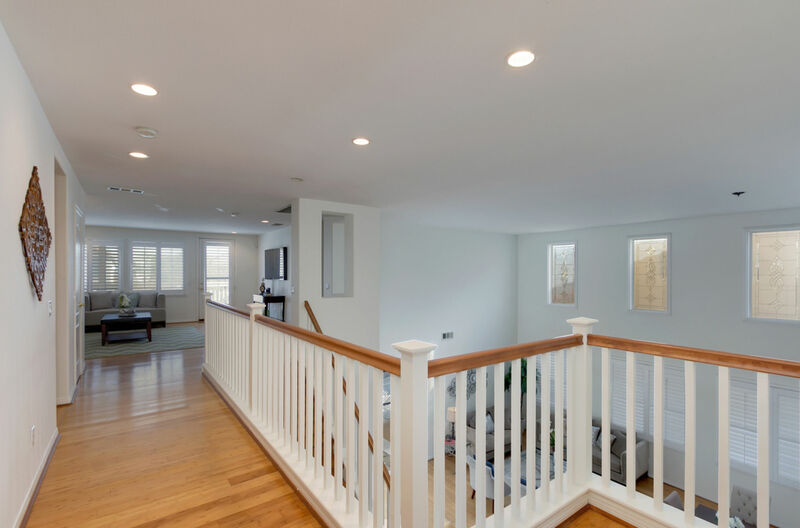 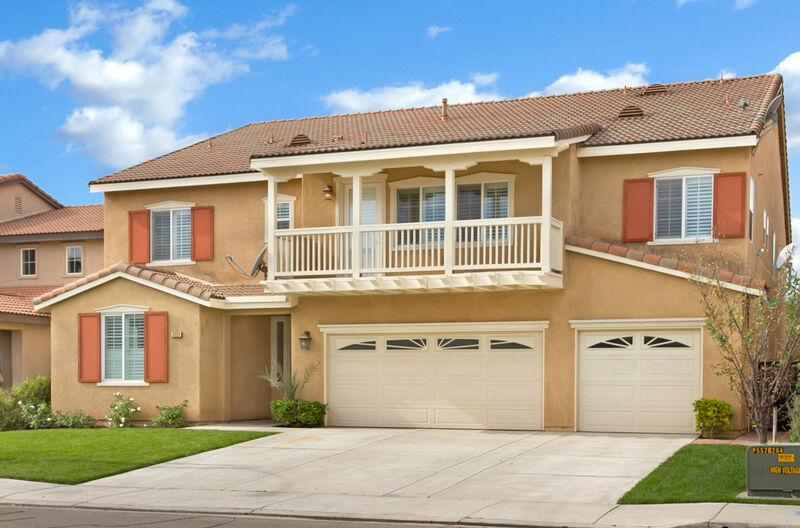 This Expansive 6 bedroom, 5 bathroom home, has 2 MAIN FLOOR bedrooms and bathrooms! 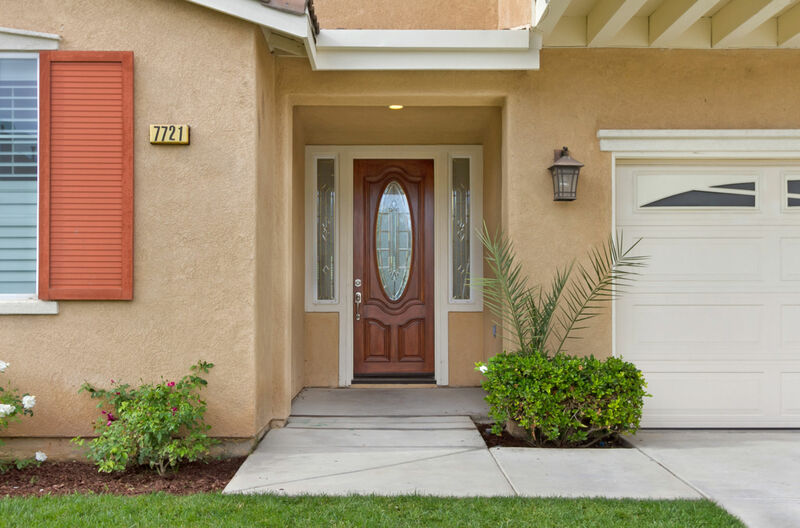 When you enter you are welcomed by a mosaic entry, cathedral ceilings, beautiful leaded glass, a cozy fireplace, and Bamboo flooring. 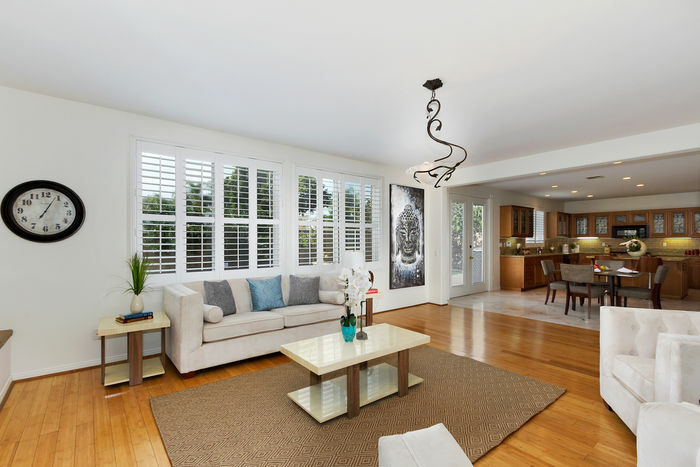 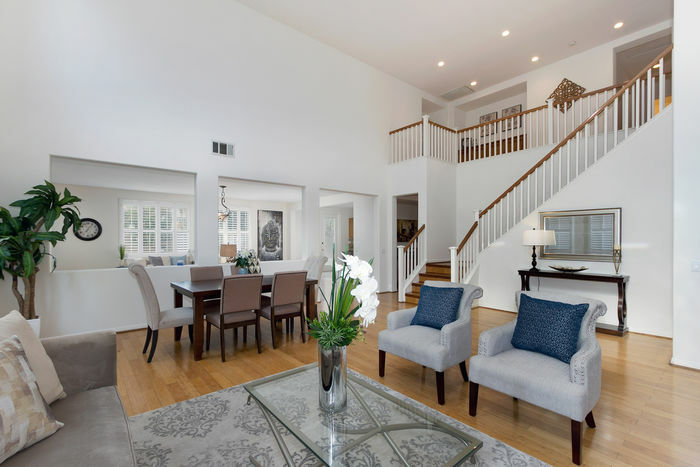 The home has an open floor plan which fluidly incorporates the living room, dining room and kitchen. 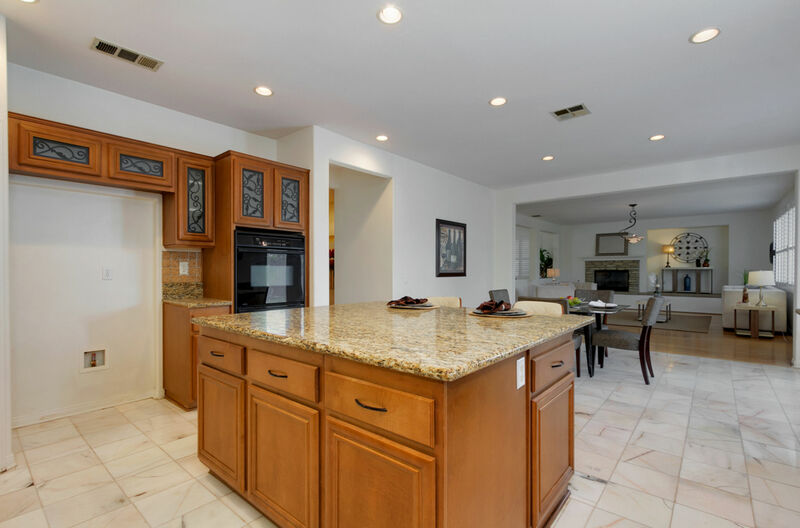 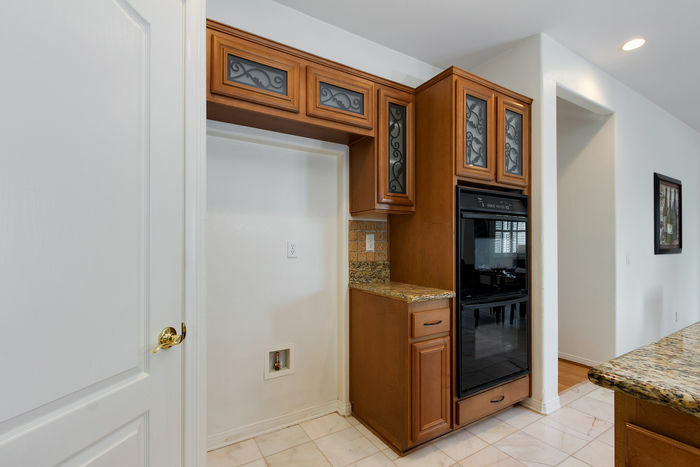 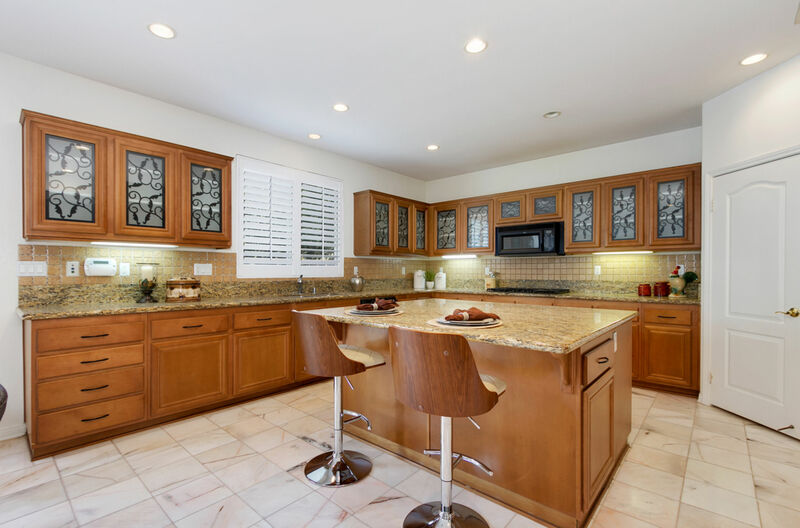 The Chef styled kitchen features granite countertops, stone flooring, custom cabinetry, double oven, 5 burner stove top, a walk-in pantry, and a huge center island perfect for entertaining! The backyard has stamped concrete for easy maintenance, grass, and fruit trees. 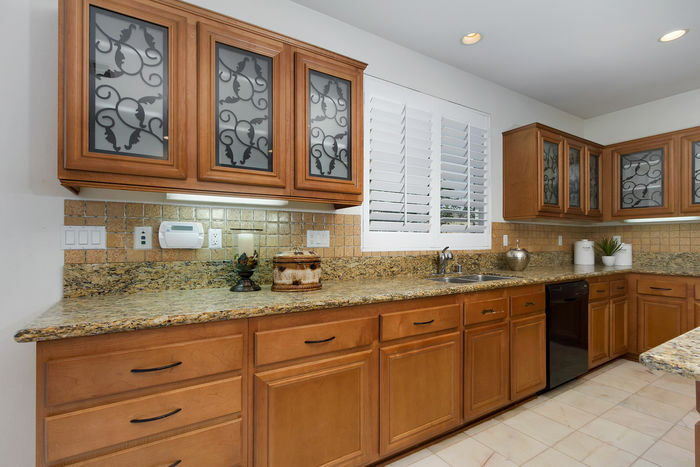 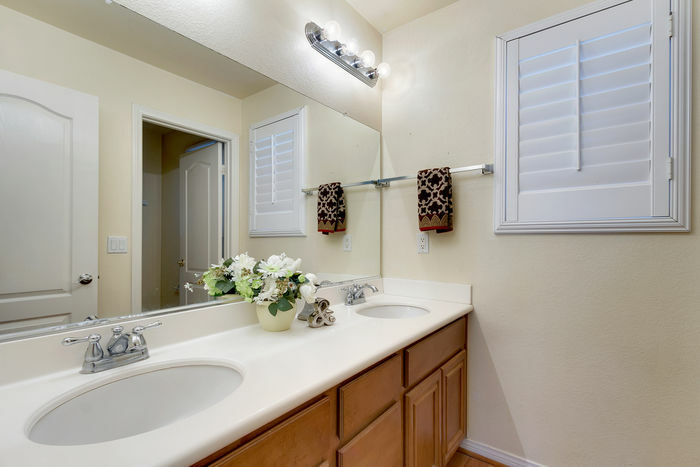 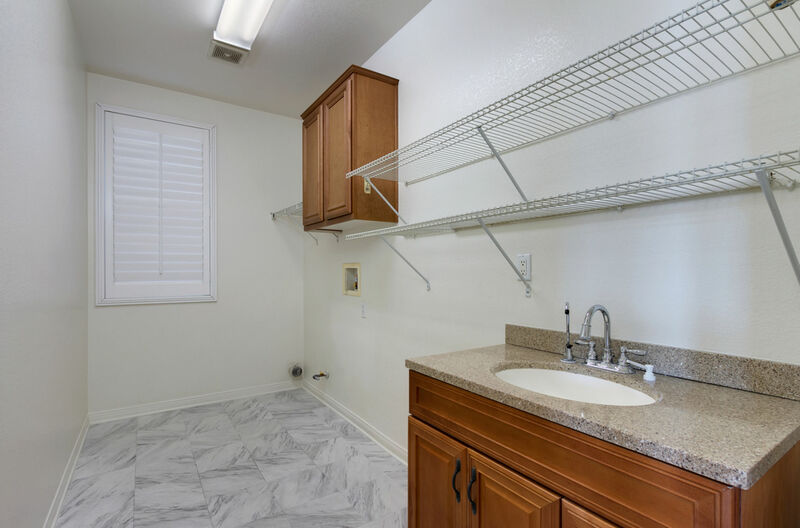 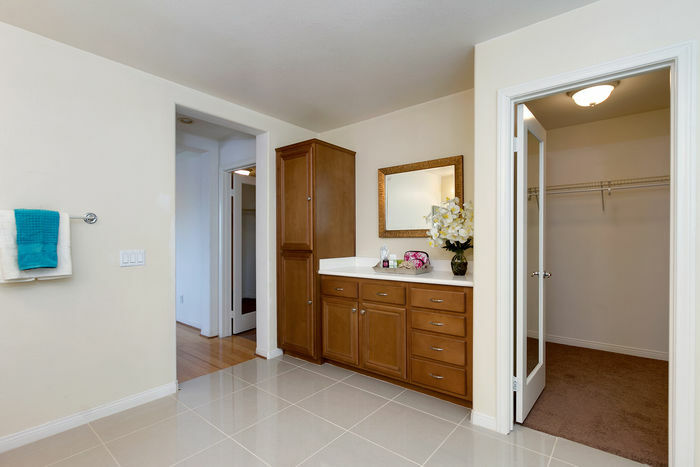 The separate laundry room is complemented with a granite countertop sink and additional storage. Upstairs there is an oversized bonus room/ living room with a connecting outdoor deck, 3 bedrooms, 3 full bathrooms, and the Master Suite. 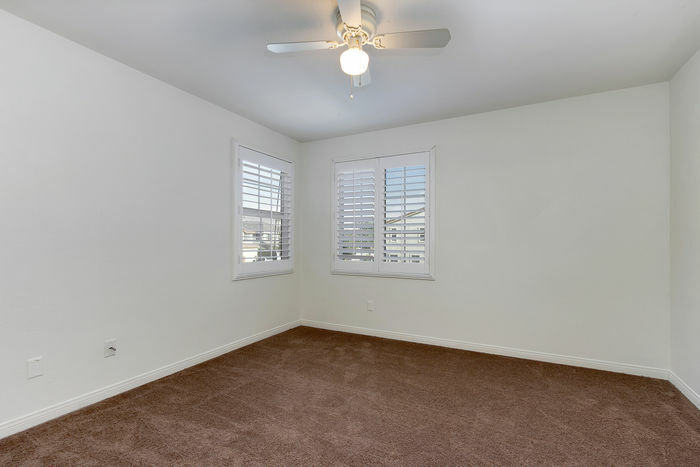 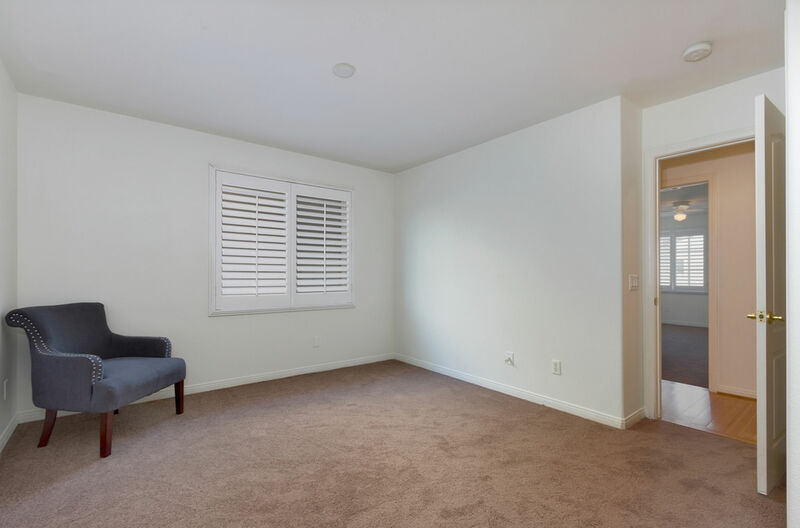 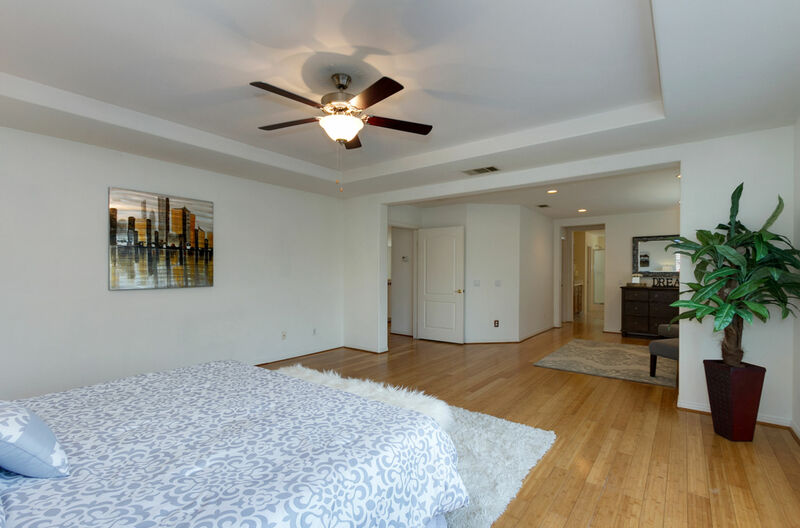 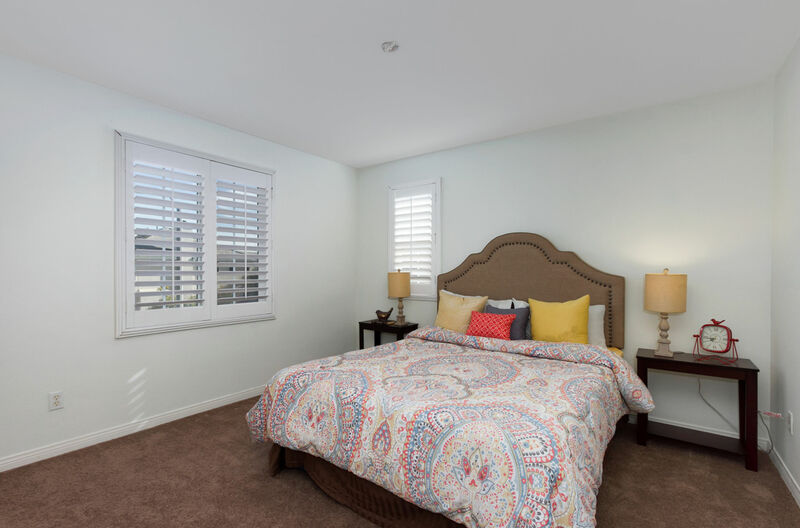 The Spacious Master Retreat has a new ceiling fan, fresh paint, an area for a desk or reading nook and a closet the size of a small bedroom! 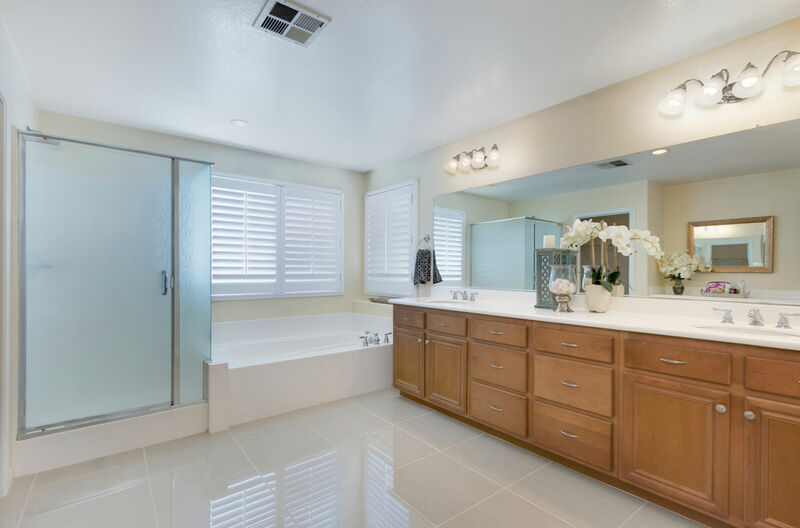 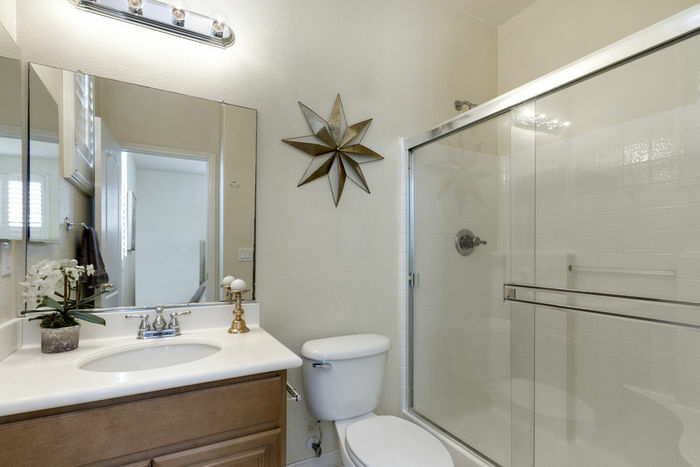 The Master Bathroom has new tile flooring, new lighting fixtures, dual sinks, walk-in shower and soaking tub. 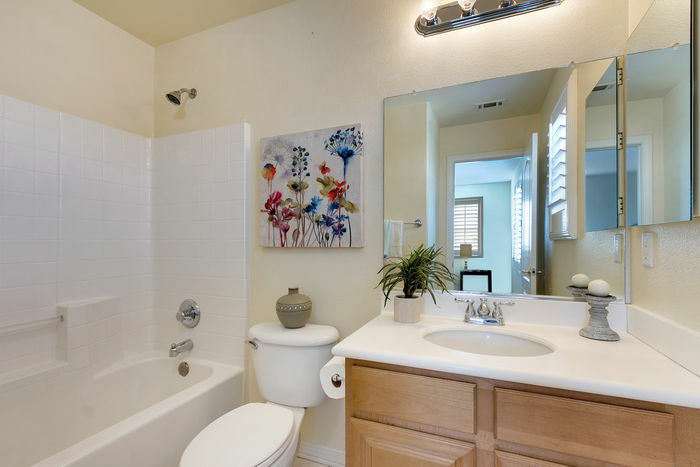 No HOA and within walking distance to the Community Park, the Community Center, Lake, and Biking Trails. 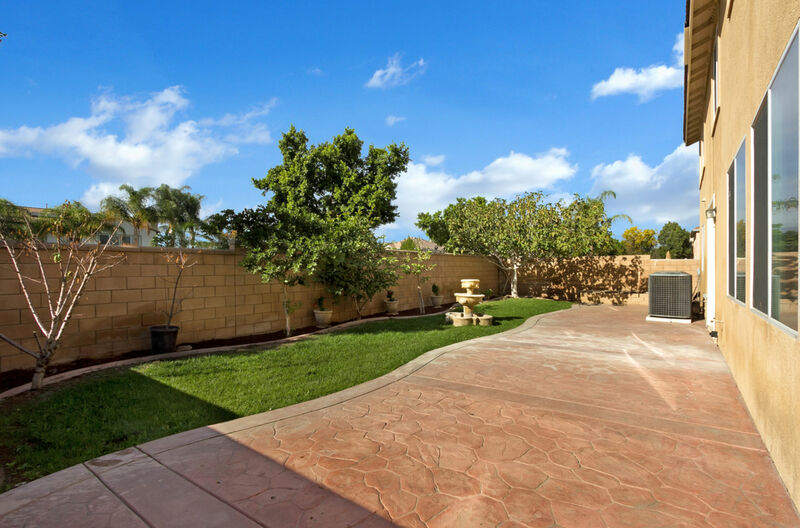 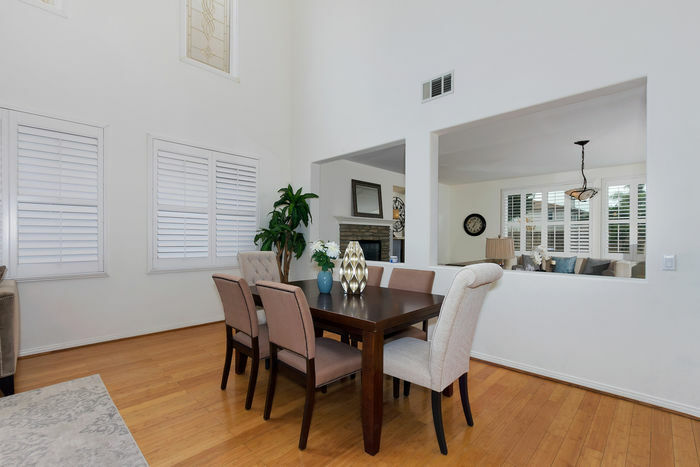 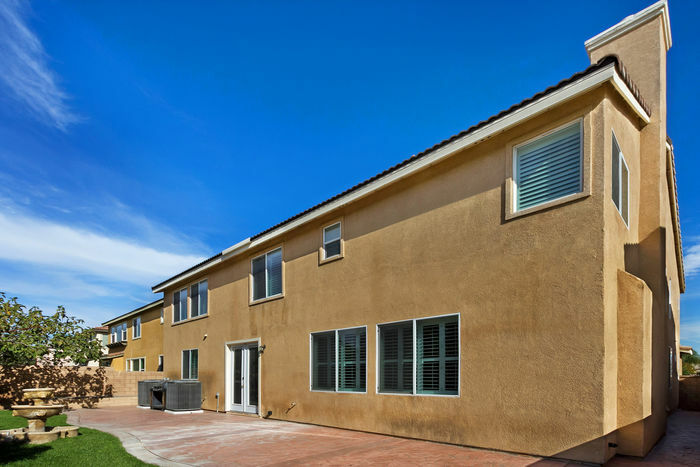 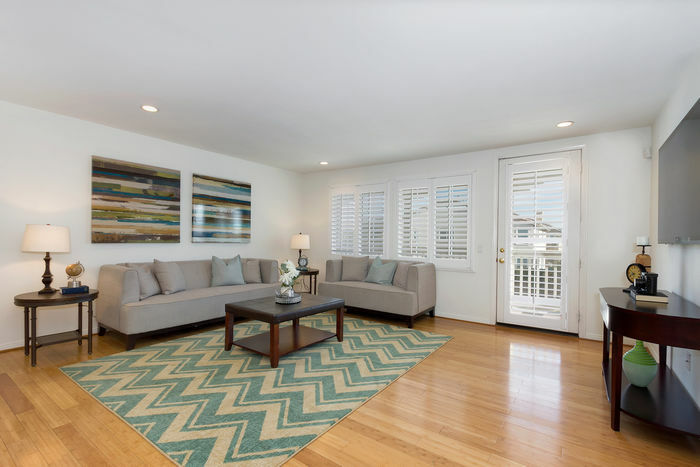 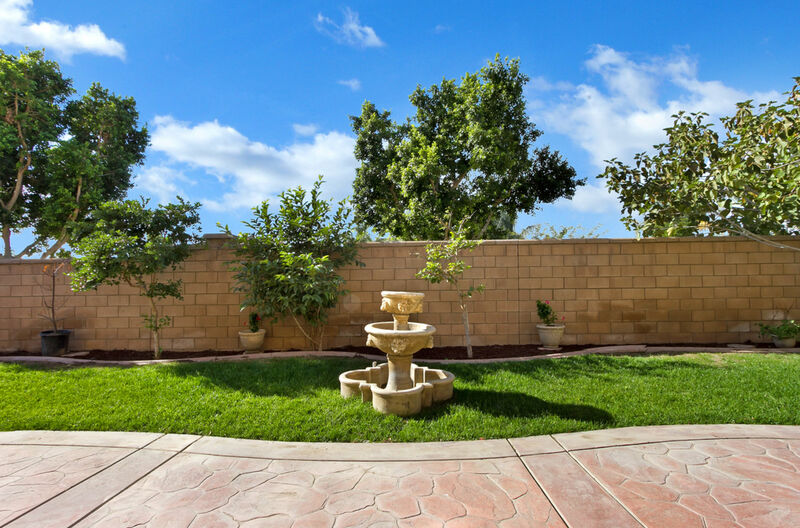 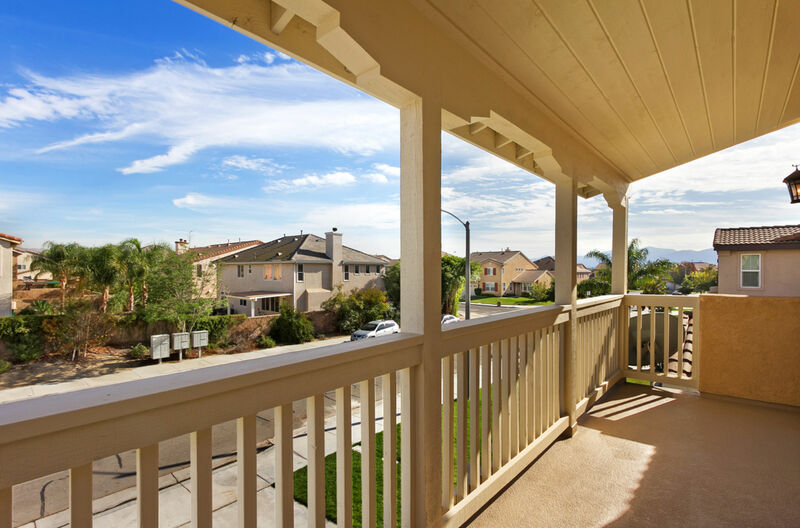 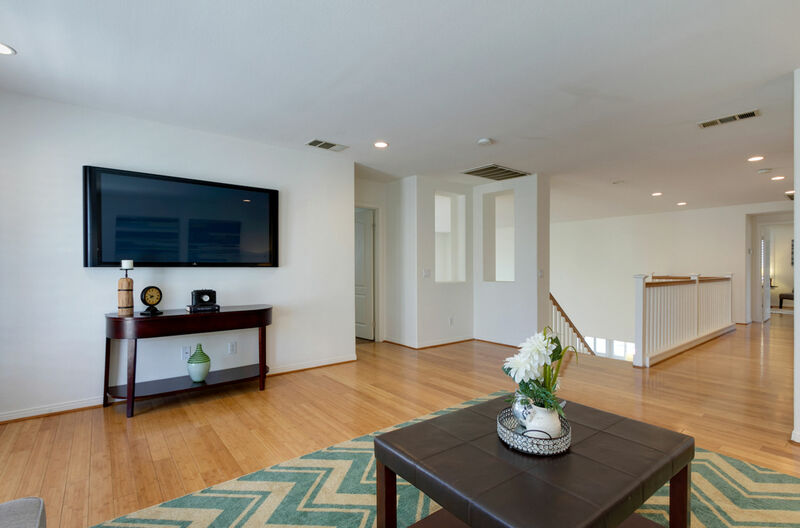 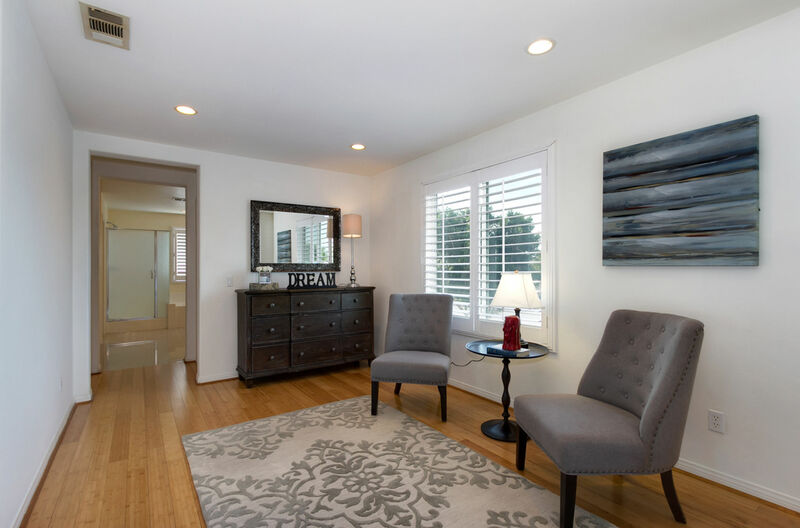 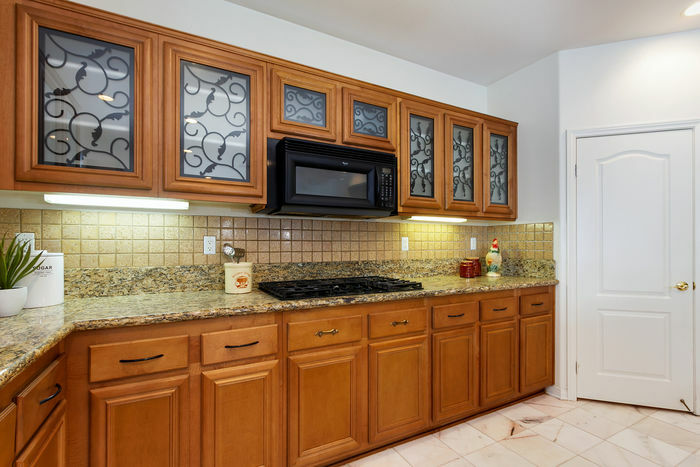 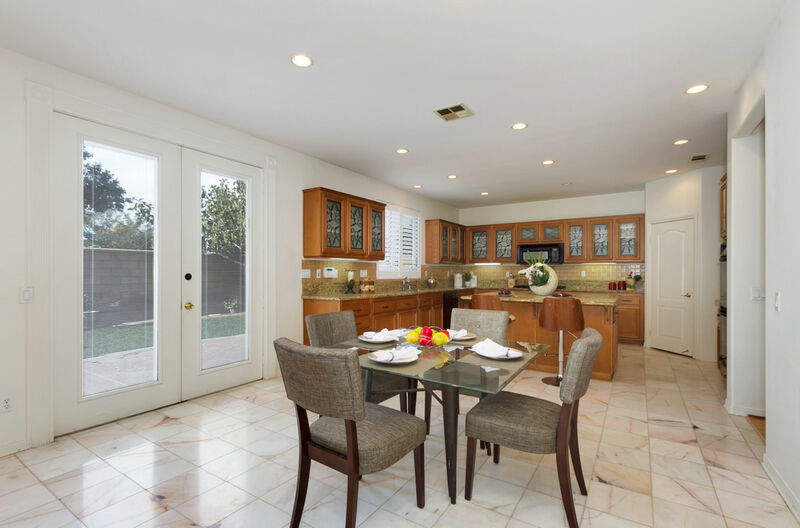 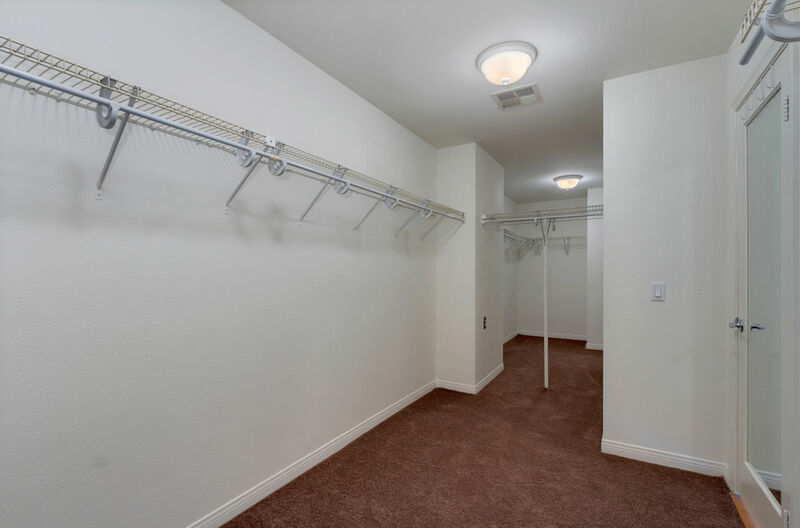 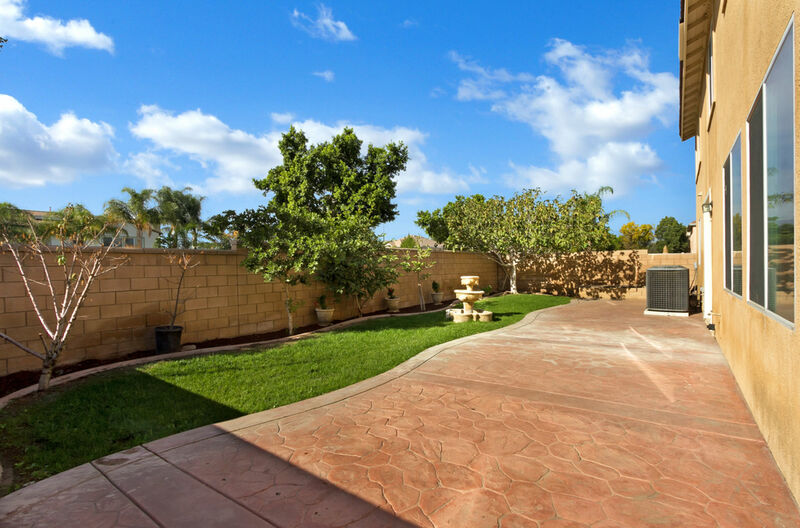 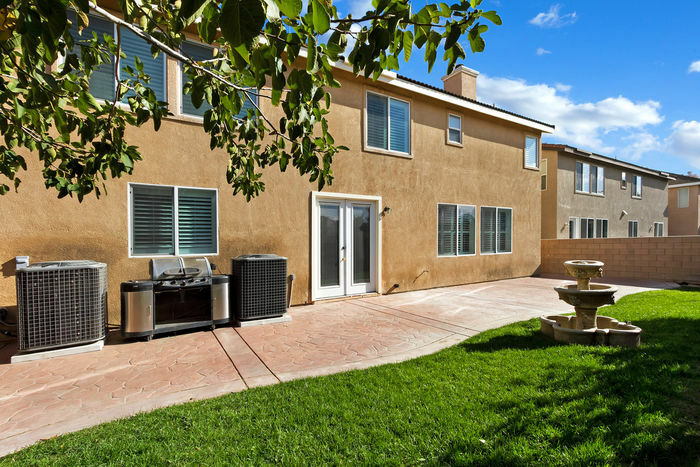 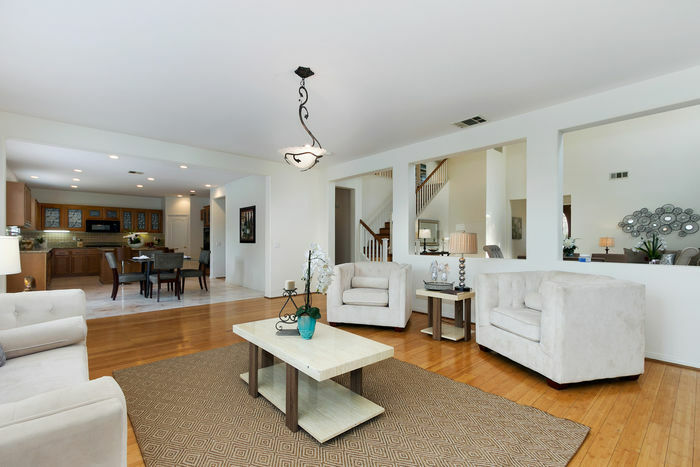 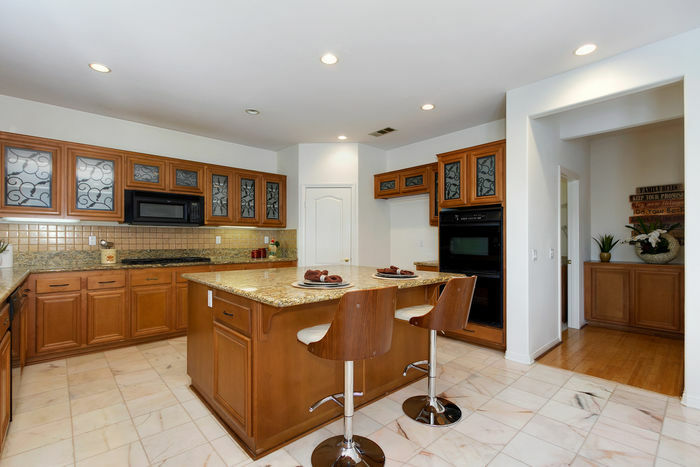 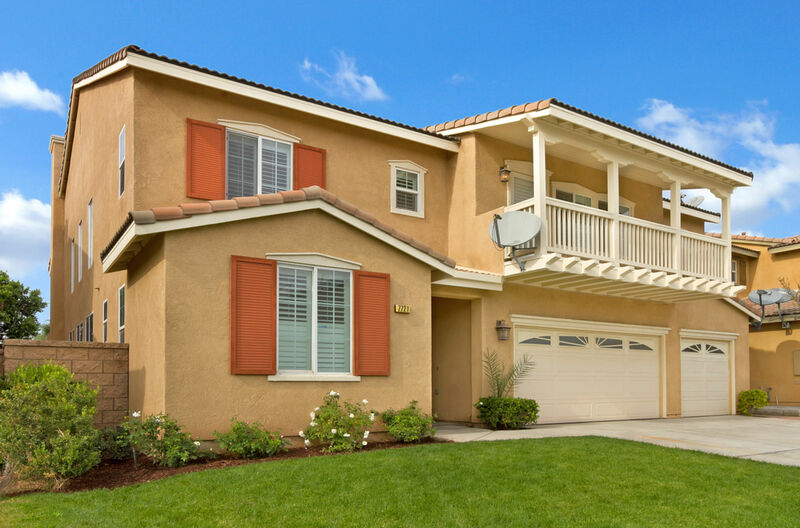 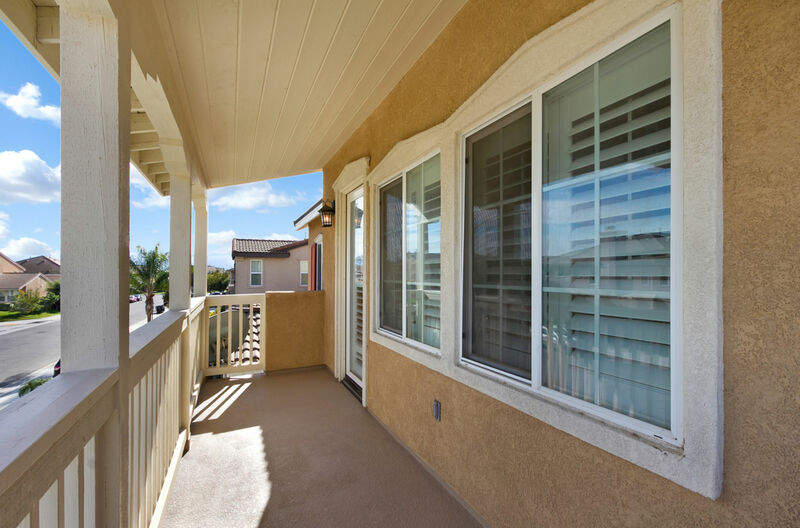 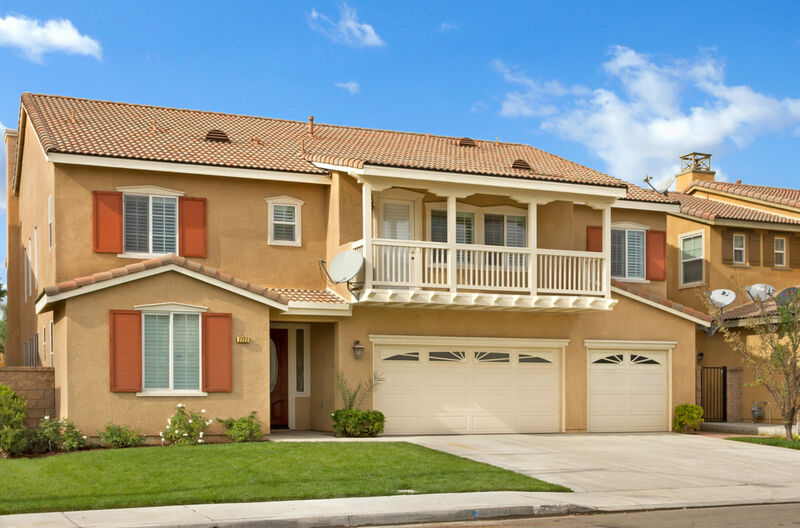 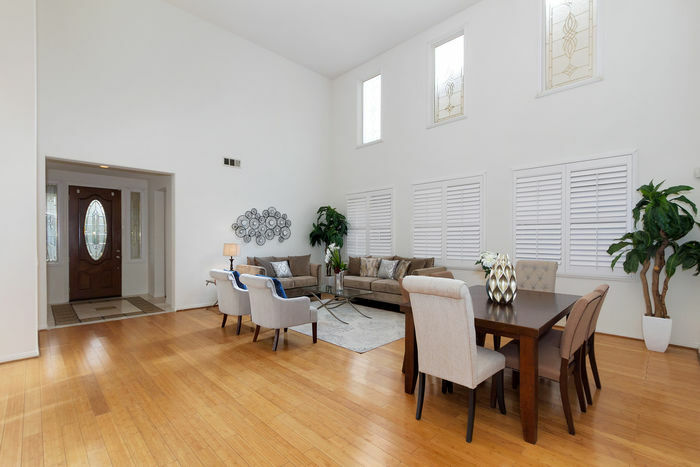 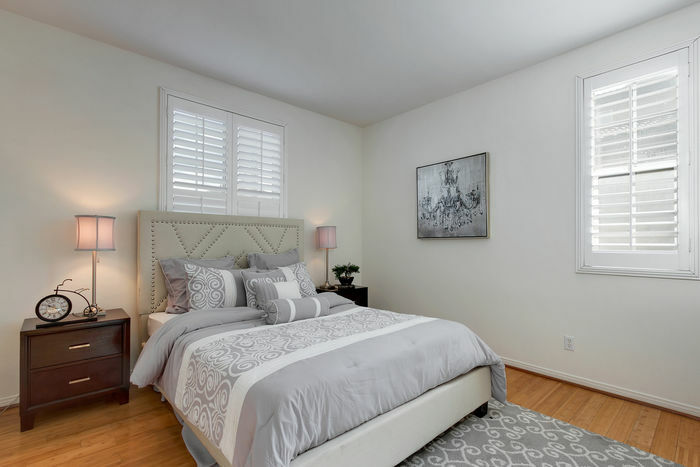 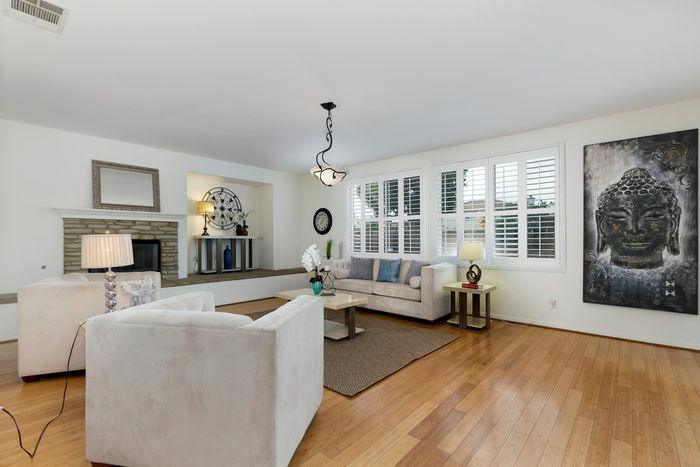 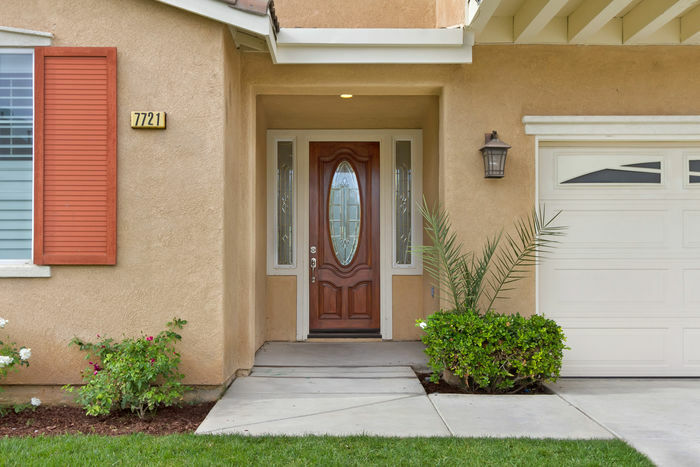 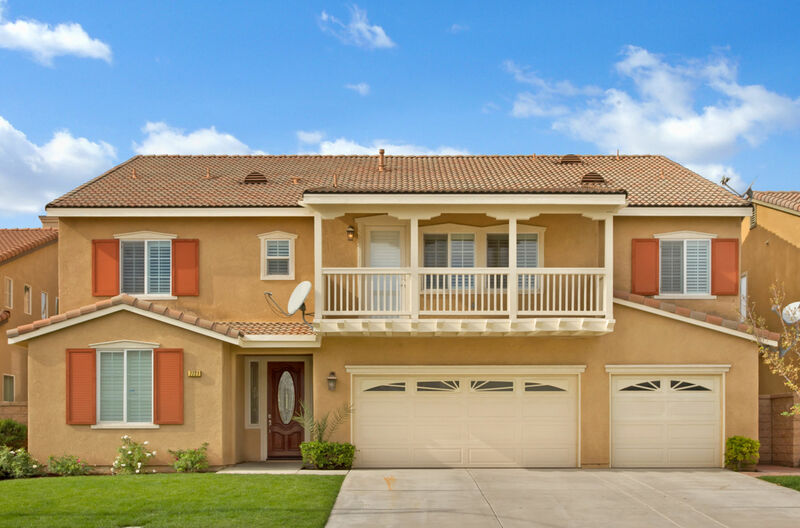 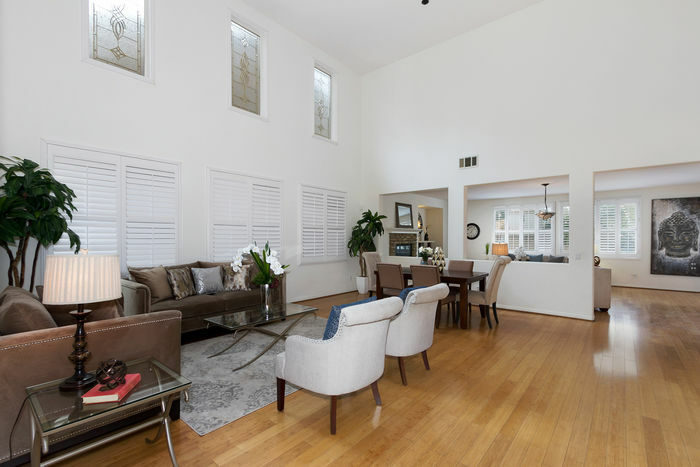 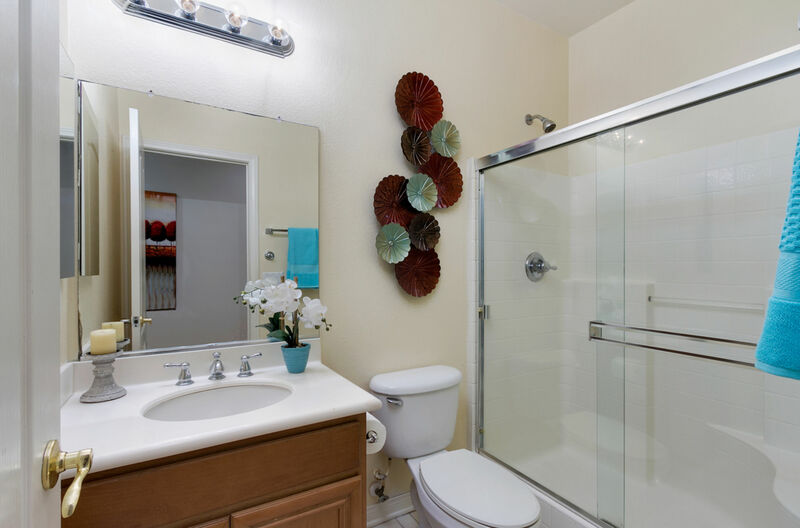 Located near Highly Rated Schools, Shopping Center and the 15, 60 and 91 Freeways. Come see this home and all it has to offer before its gone!